The Lindbergh Board of Education voted unanimously Tuesday to place a $105 million no-tax-rate-increase bond issue on the April 2 ballot for a new and improved Lindbergh High School. To read the Call’s article with information from last week’s Finance Committee discussion on the bond issue, click here. Proposition S will “improve safety and security for all Lindbergh students,” the district said in a news release. The district’s current debt-service tax rate of 83 cents per $100 of assessed valuation will not change. Renovate and rebuild Lindbergh High School to create a safe, “future-ready” campus with a single, secure main entrance. Ensure all Lindbergh schools have secure main entrances by constructing entry vestibules at three elementary and the two middle schools. Move three maintenance and landscape shops off the LHS campus. 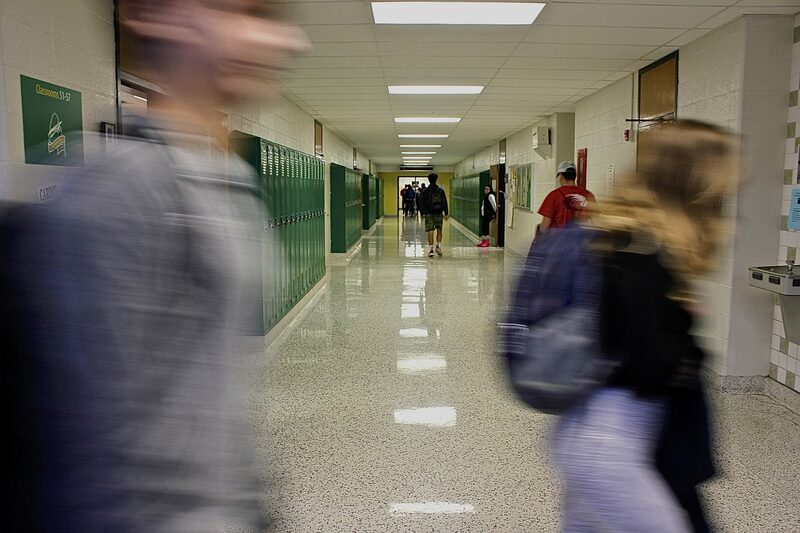 Lindbergh High School’s open campus design is “outdated and unsafe,” the district said, with more than 60 sets of exterior doors in all and a student pedestrian area that mixes with incoming vehicular traffic. Prop S would create a single, secure point of entry, in addition to flexible, future-ready space that better meets the needs of teachers and students today and for decades to come. If voters approve the bond issue, a new high school will be built on the existing campus, using new construction to connect several of the existing structures. Buildings in most need of serious repairs would be demolished. The original building at LHS is close to 70 years old, and major mechanical systems campuswide are in need of total replacement. All exterior doors remain locked. Visitors ring a doorbell and state their name and purpose of visit prior to entry. Visitors are routed through a secure vestibule with two sets of locked doors and must check in at the main office before entering student areas. Office staff uses a visitor management system to scan each visitor’s driver’s license, confirm identity and flag any causes for alert.